Frankfort, IL-(ENEWSPF)- Ramadan offficially ends tonight, Saturday, August 17, 2012, in the Chicagoland area, according to a statement sent by the American Islamic Association in Frankfort. Shawwal, the tenth lunar month of the Islamic calendar, begins Sunday. Eid Mubarak! The Chicago Hilal Committee received authentic moon sighting reports from the Carribeans tonight, Saturday, August 18, 2012. Shawwal 1, 1433 (Eid-ul-Fitr) will be Sunday, August 19th. 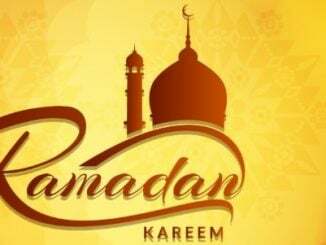 Ramadan will end with 29 days and Shawwal will begin tomorrow, Sunday, August 19th. Eid al Fitr will be observed on Sunday August 19, 2012. Eid Salah will be held at the AIA Masjid at 9:00 am. Please remember to pay your zakat-al-fitr $6.50 before Eid Salah. Parking is 20.00 per car. Please car pool and arrive early.